with 1.13 around the corner and the fact that tweakers will be dead what will you do about that ? Why would tweakers be dead? On 1.12.2 Item storage crates occasionally make a stack of items disappear while shift clicking them in. Not sure what the other conditions are that cause this to happen. The issue is already known, and seems to be because of RebornCore. Both mods' makers are looking into it. So, I notice that in the screenshots, the Quantum Storage Unit is shown with clear glass. And yet, that is not the texture in the mod. At least the 1.10.2 version. Was that with a resource pack? And if so, which one? I hate Vanilla Minecraft frosted glass. The Quantum Iron, Gold and Diamond chests does not have the inventory tweaks mechanics on those chests. have the inventory tweaks mechanic in them. and yes, just incase you are going to ask, I DO have inventory tweaks installed. Also can you make an obsidian version of all the units, so they can be explosion proof ? Or is it like that already...? I dont want to try my luck with a creeper. 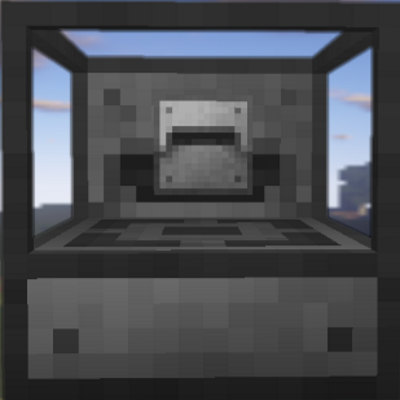 The Storage unit on JEI seems to be surrounded by glass so you can see inside it but ATM it is completely gray, is this normal? A huge thank you for the recent update! This mod is absolutely awesome! Keep up all the awesome work!